Happy Friday eve, dear readers! Today I am hosting an interview with S.R. Mallery, author of Trouble in Glamour Town! I also have a giveaway so be sure to check that out! Hello Sarah and welcome to Passages to the Past! Thanks so much for stopping by today to talk about Trouble in Glamour Town! Thanks for interviewing me, Amy! Enjoyed thinking about your questions! I am the daughter of a television writer. My father scripted works from the 1950s Golden Age Of Television through the 1970s. During the early years when we were living in New York City, my parents would have their writer friends and spouses over to watch each one of my dad’s episodes whenever it aired. It was a big deal. My brother would crash in his bedroom, but I couldn’t sleep. I was too excited by the hubbub happening in our living room. Unbeknownst to the grownups, I would sit high up in the shadows of our stairs in my PJ’s and listen. I loved the clink of cocktail glasses mixing in with the articulate yet boisterous chatter. One minute the guests would be nonstop talking, the next, there was a hushed silence as they all listened with rapt attention to the show playing on the small-screened television set. Then, as soon as a commercial came on, they would again be gabbing away, this time with high praise for my dad, and heavy analyses of the production. That ritual continued through my teen years, after my parents had moved us out to Los Angeles. Luckily many of their writer friends had also become transplanted East Coasters. A teenager by then, I was invited to these get-togethers (no alcohol allowed for me, of course!). It was at those parties that I would hear all sorts of stories about Hollywood, both past and present, and I loved it. I also enjoyed going on the television sets of my father’s work, watching not only the actors but also the directors, the crew members (those “grips” were hunky! ), and various people wandering in and out. Loved the atmosphere; had no desire to act. So, when I started to think about writing a murder mystery, the idea of Hollywood came crashing back to me. And because I relish the research process, I decided to go back further than the fifties. Back beyond the thirties and forties. I started exploring the silent flicks of the 1920s, and as soon as I discovered all the corruption that was happening in Los Angeles during that time, I thought, Bingo! This is it. a) Harper Lee, for her touching characters and story in “To Kill A Mockingbird,” which grabbed my heart. Her marvelous show-don’t-tell prose inspired my writer’s prose journey. b) Authors De Maupassant, O. Henry, and the TV series, “Twilight Zone” and “Hitchcock Hour,” all for their wonderful twist endings. It never occurred to me what an influence they all had on me until several reviewers mentioned that my stories in TALES TO COUNT ON reminded them of these sources. c) Mary Stewart, Victoria Holt, and Daphne du Maurier for their page-turning plots that also satisfied my romantic yearnings. That’s easy. Ellie Midwood’s “A Motherland’s Daughter, A Fatherland’s Son: A WWII Novel”. Excellent! I realize that writing historical fiction takes up a lot more time than writing other genres. I’ve also been told repeatedly that my research shows and have even been appreciated for that. The truth is, all that exploration does come at a cost. However, although I haven’t produced as many books as I would like, whenever I delve back into past eras, it triggers ideas about characters, plots, and scenes, and you can’t beat that! It also gives me an insight into earlier times, when, much like today, the good came along with the bad. I love to take walks as I listen to Pandora or talk on the phone with family and friends. I also enjoy watching movies and TV series with my hubby close by and our cat, Junebug, pressed against me, chirpy-purring her little heart out. The second book is a sequel to my historical western romance, The Dolan Girls. Not sure when that will be coming out. After that, maybe a cozy/time travel series...we’ll seeeee. S.R. Mallery, two-time READERS’ FAVORITE Gold Medal Winner, has been labeled nothing short of 'eclectic'. She has been a singer, a calligrapher, a quilt designer, and an ESL teacher. 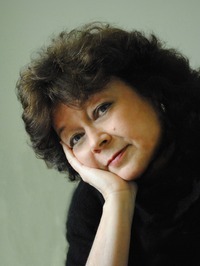 As a writer, History is her focus and is woven into her stories with a delicate thread. When people talk about the news of the day, or listen to music, her imagination likens the story to a similar kind of news in the past and is conjuring up scenes between characters she has yet to meet. S.R. 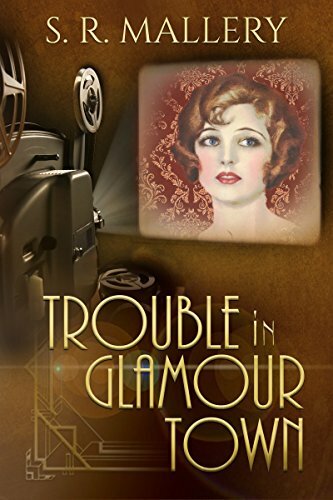 Mallery's books include The Dolan Girls, Genteel Secrets, Unexpected Gifts, Sewing Can Be Dangerous And Other Small Threads, Tales to Count On, and Trouble in Glamour Town. For more information, please visit S. R. Mallery's website. You can also find her on Facebook, Twitter, Pinterest, and Goodreads.